Find out what the benefits of keeping a training journal are, and why I decided to start keeping a journal. Achieve Your Goals! Accountability Is The Key To Success! For many years, I elected to not keep a training logbook for purely superstitious reasons! Some years ago, I experienced a nagging injury. At the time, recording a journal became very frustrating because it did not make for satisfying reading, and I abandoned the idea. Shortly after this, the injury corrected itself, but from that day on I did not record my training, as I did not know how long I would be able to train for! At the time, I thought it made no sense because I was running the princely time of 10 minutes per day! As my mileage increased, I got out of the habit of keeping a log book, until recently. Using one again has made me realize what valuable information we gain from these books. Without a doubt, we begin to notice patterns in our training performance. We learn when our good and bad days repeat themselves in our log book. This information really helps us prepare for a race because we know when to "back off" from training. As athletes, backing off is one of the toughest challenges we face. Through the log book we have good evidence of the need to rest. Of course, we can choose to ignore the information, but when the proverbial wheels fall off the bus, we have even more reasons to explain our "sudden decline." I use the words "sudden decline" in quotes because there is seldom a sudden decline. The signs are usually there for a while. We either choose to ignore them or we simply have not yet understood what the signs mean. Sudden changes in performance can occur through injury. 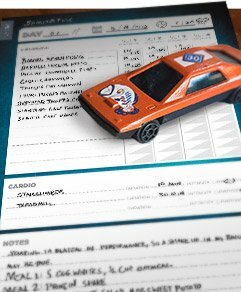 But, if your log book contains your comments, you can often see the development of the injury over a few days. "Record your thoughts and feeling after each session; they provide insight into your mental make-up at the time." This observation brings me to another point: the comments and observations you make as the journal keeper. Record your thoughts and feeling after each session. I believe they are valuable indicators. Take your thoughts seriously because they provide insight into your mental make-up at the time. When you are tired, mention you were tired and maybe a reason why. When you go back in your journal, you will pick up your mood quite easily. You might even notice your lethargy. Some days we do not feel like training. It&apos;s important to identify reasons why—maybe the training load is too much or too intense, or you are pressured at work. All these factors influence the training output. Recording them in your journal helps you be less critical of yourself. This does not mean you now have handy excuses, however. It simply provides insight into your current performance levels. What Can You Keep In Your Journal? I keep the following information: my waking pulse, weight, number of hours slept, my willingness in training, things like that. I also record what session I did, duration, intensity, average HR, max HR, route I took etc. Keeping a journal can be quite a confidence booster. When you look back, you notice your progress. You see how much faster you have got over a period of time. Of course, you might also notice that your performance has not improved that much. You may even have plateaued. By going back into your journal, you can probably find out why. On the confidence issue, I know a number of athletes who certainly gain motivation and confidence from their diaries. Raynard Tissink is one example. He finds his journal motivating when he looks back at his training progress. It is also a well-known fact that Comrades king Bruce Fordyce also used his diary to great effect. Bruce also kept detailed notes on his races. You could keep a race journal too. You pick up some interesting trends in your races on drinking, nutrition, conditioning etc. "Raynard Tissink finds his journal motivating when he looks back at his training progress." A journal usually works very well for someone who struggles to maintain motivation or training momentum. However, even if you are self-motivated, you still gain some great insight. Keeping a journal can make or break your training progress. I made this discovery three days into my first organized fitness program and realized firsthand what all those "fitness gurus" had been talking about. It was a cold, grey Wednesday, and I was tired. Maybe I should skip the gym? Surely one day wouldn&apos;t hurt? But when I considered that I would have nothing to report in my journal for that day, I was forced to think twice. After weighing the pros and cons, I promptly grabbed my gym bag and headed off, preferring to fill the pages with activity over leaving them blank. This is the first moment I was glad I had listened to the advice and embarked on my journey with journal in hand. "Think of the journal as a road map." Think of the journal as a road map. It&apos;s going to show you the route, help you avoid sidetracking and keep your final destination in focus. Lost your direction? Consult your journal. Can&apos;t remember where or why you started? Your journal knows. Want to figure out the best foods to give you the best results? In a few weeks you journal will be able to tell you that too. The best thing about it is that it is first hand knowledge from your body; it soon becomes a reference so you can avoid pitfalls and find shortcuts designed for you. It is encouraging to see the pages fill and accurately measure how far you have come. Without a map or a clear game plan, it is impossible to get yourself out of a sticky situation. Without a journal, it is easier to lose focus and give up. If you don&apos;t record it, it can become easier to forget the whole point of what the game is. Good intentions and great ideas become just a passing thought if you fail to write them down. There are definitely a few athletes who are overly analytical about their training. A log book can be cluttered with too much analysis and detail. Be careful of this! The classic saying, "Paralysis by analysis" is to be avoided if possible! Remember the primary reason you are training and racing is for enjoyment and relaxation, and of course for some results. Use the journal with these central feelings in mind, so the journal does not get you bogged down. If you&apos;ve been spinning your wheels at the gym, get familiar with F.I.T.T. to help you customize your workouts and achieve your goals! Fitness doesn&apos;t have to be a solo journey. Introduce your whole family to a healthier lifestyle with these 9 tips! Give us a couple of workouts a week, and we&apos;ll change your performance potential on the bike permanently. It&apos;s time for cyclists of all levels to embrace strength training! 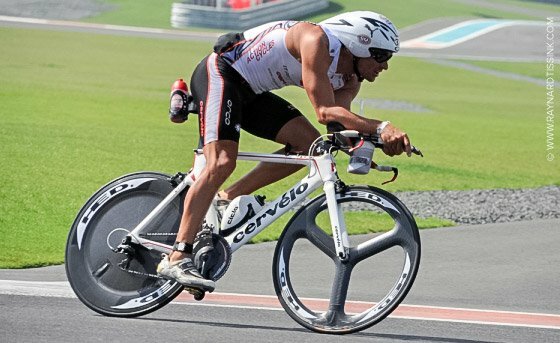 World Of Endurance brings us articles on triathlete/duathlete competition, performance and tips.